Explanation: After astronauts repaired NICMOS - the Near Infrared Camera and Multi-Object Spectrometer - during the latest Hubble Space Telescope servicing mission, astronomers were quick to turn the sophisticated instrument on the photogenic stellar nursery known as the Cone Nebula. This remarkable NICMOS close-up of the Cone Nebula dramatically confirms that the Hubble's infrared vision has been restored. 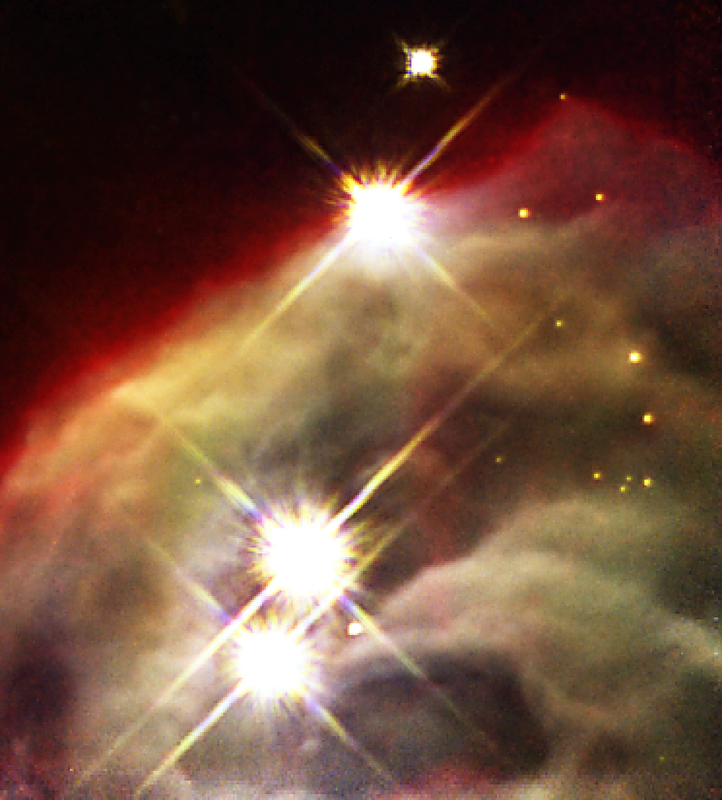 Gas and dust clouds at the blunted tip of the cone-shaped star-forming region are seen here in false-color covering an area about half a light-year across. 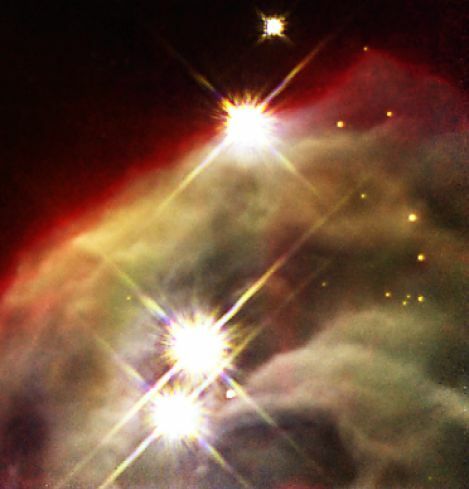 Toward the left hand side of the picture, the four bright stars with diffraction spikes are also present in visible light images and are in front of the Cone Nebula, itself 2,500 light-years away. But the fainter stars to their right are embedded in or behind the nebula's obscuring dust clouds and are revealed only in this penetrating infrared view.